Order in the next 4 hours 57 minutes and your package will ship on Friday, April 19. 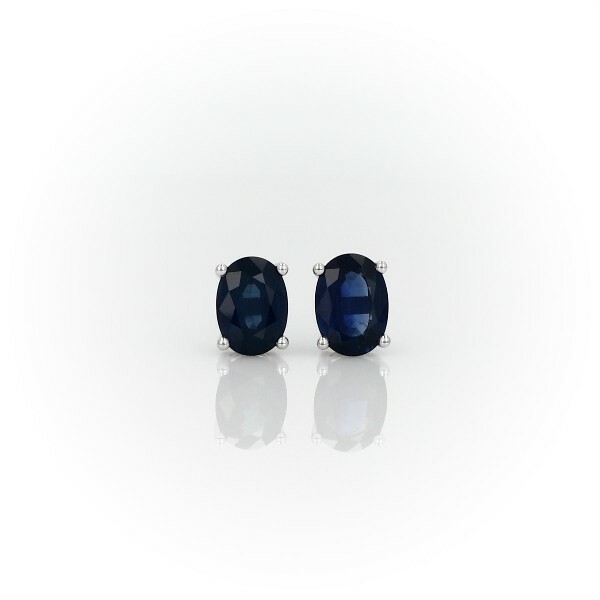 A fresh perspective on the classic stud earring, oval sapphires in vibrant blue are complemented by four-claw settings in highly polished 18k white gold. Earrings are finished with posts and push backs for pierced ears.